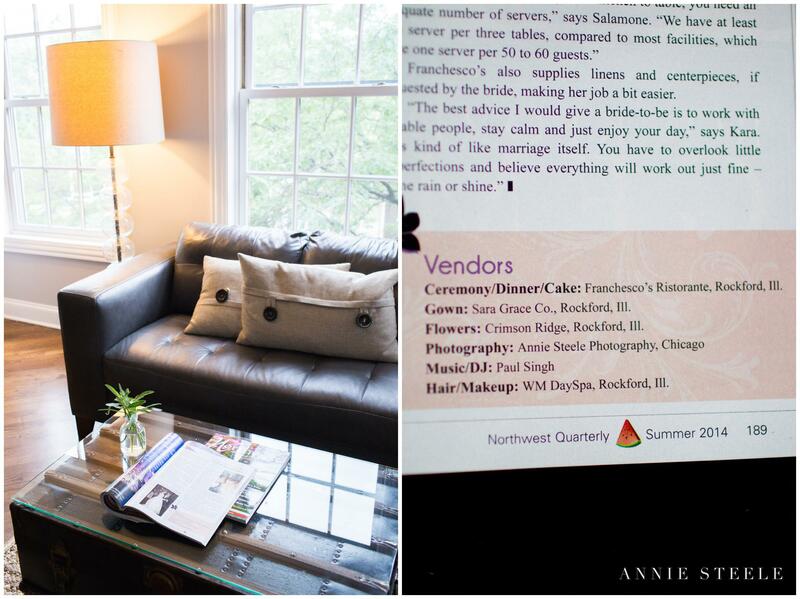 This past May, we had the pleasure of photographing Kara and Aaron’s gorgeous Wedding in Rockford, IL at Franchescos. 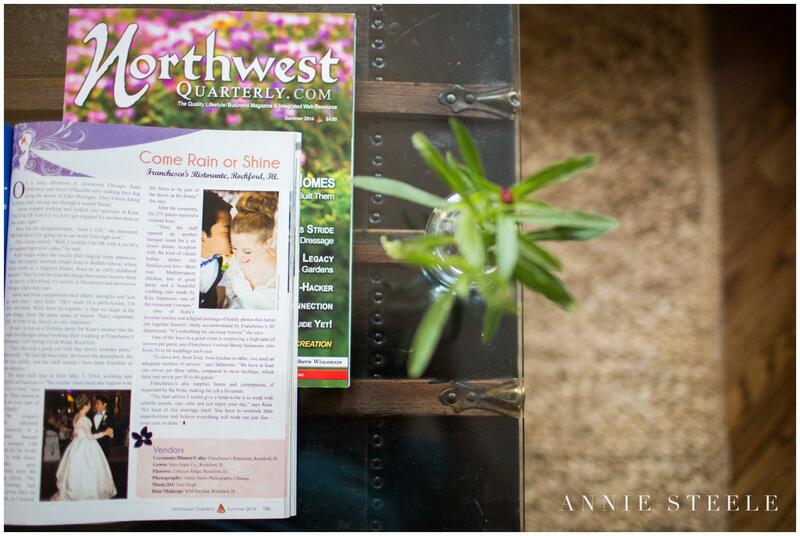 When I was contacted by Northwest Quarterly a few months ago, I was thrilled to submit pictures of this stunning couple to be featured. Aaron, a self proclaimed perfectionist, and Kara, one of the most laid back, nicest person you will ever meet– compliment each other perfectly, and it was such a pleasure to photograph this fun Wedding. This special couple hosted one of the largest Weddings ever held at Franchescos and the day could not have been more perfect! Franchescos provided a gorgeous place to get married, and just as fabulous reception area to party the night away with family and friends! 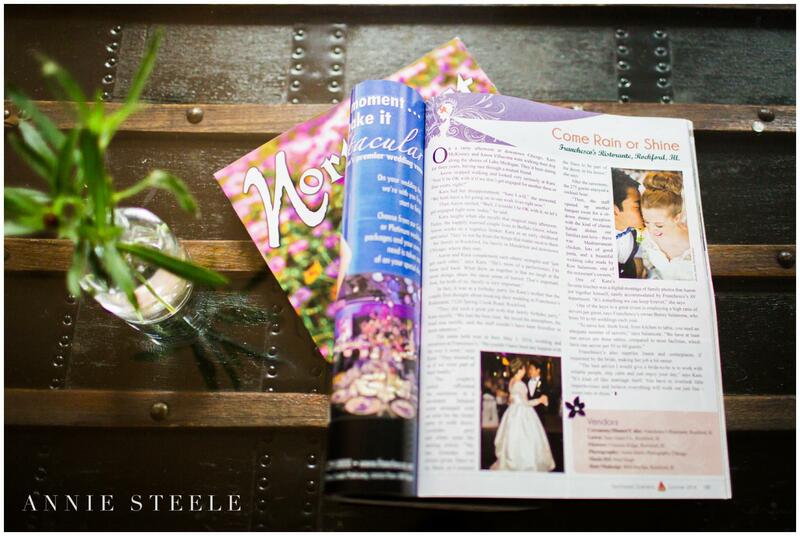 Go get your copy today, and see what advice this wonderful couple has to give for all you Bride + Grooms-to-be!